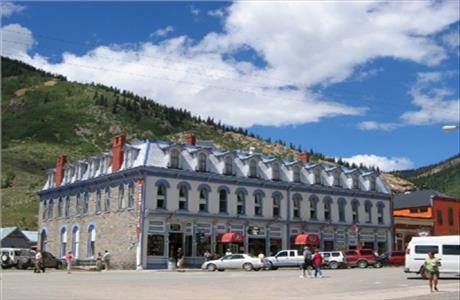 The historic Grand Imperial Hotel in Silverton was built in 1882 to cater to the wealthy mining interests in the San Juan Mountains. At an elevation of 9,318 feet, this beautiful granite structure rises three stories in height with elaborate ceilings, ornate chandeliers and other Victorian era styling. 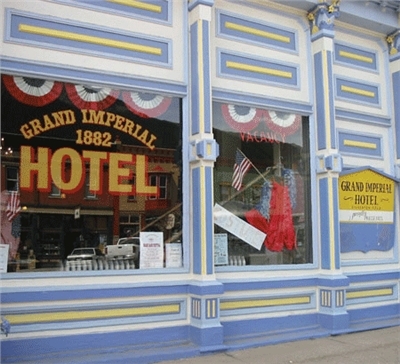 Under new ownership and having recently undergone an extensive remodel, you will experience the colorful history mixed with new bathrooms, beds, bedding, and decor at the all new Grand Imperial Hotel. One bedroom with King bed, second bedroom with 2 Double beds, living room, private bathroom, and Directv. 2 Double beds, private bathroom, and DirecTV. 2 Queen beds, private bathroom, and Directv. One King bed, private bathroom, and cable television. One queen bed, private bath, and Directv. One King bed, private bathroom, and Directv. Double bed, seperate sitting area, private bathroom, and Directv. Single King bed, sitting area, private bathroom, and Directv. Double bed, private bathroom with a claw foot tub complete with a rain head shower riser as well as a 42" flat screen TV with DirecTV. All rooms have ceiling fans, premium linens, and towels. 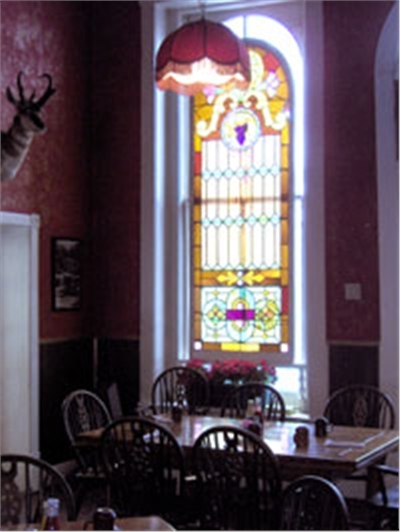 Located within walking distance from the depot at 1219 Greene Street in Silverton, Colorado. Located within walking distance from the depot on the west side of Greene Street - the main town street.